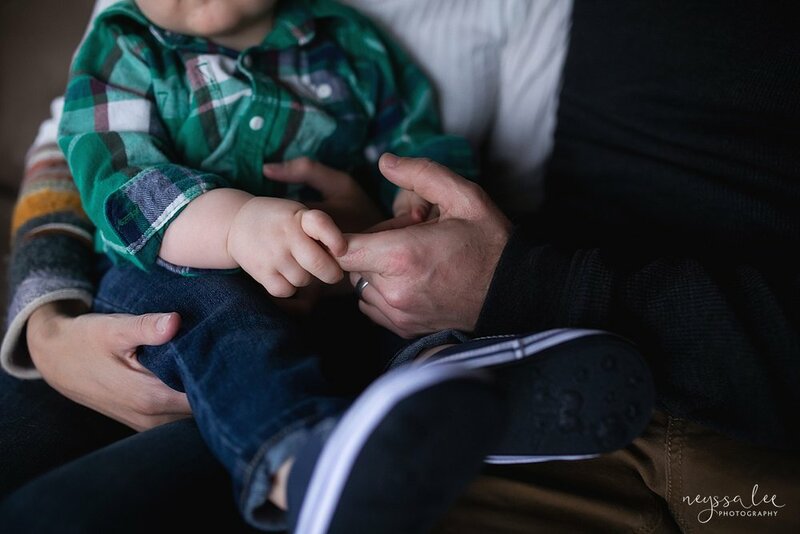 Document the first birthday as an important milestone with a lifestyle family photo session. Celebrating a child’s first birthday is such a big milestone. It isn’t just that your baby is turning one, but it means that you survived the first year! So first, a big congratulations and happy day to your family if you'r little one is turning one. Don’t get me wrong, I LOVE the first year. There is so much growth with your child changing daily. In so many ways, that first year flies by. However, the first year is also about little sleep, worrying about every little thing, trying to keep your older kids from giving your baby the plague they caught from school, and learning how to parent this little human being as they discover the world around them. That is no easy task. Just as you took the time to have newborn photos, I think photos around a child’s first birthday are so important. Right now your baby feels so “big” but as you look back in a year, or even just six months, you will see how much of a baby they still were. I say this often, but you will never regret having photos taken of your family. 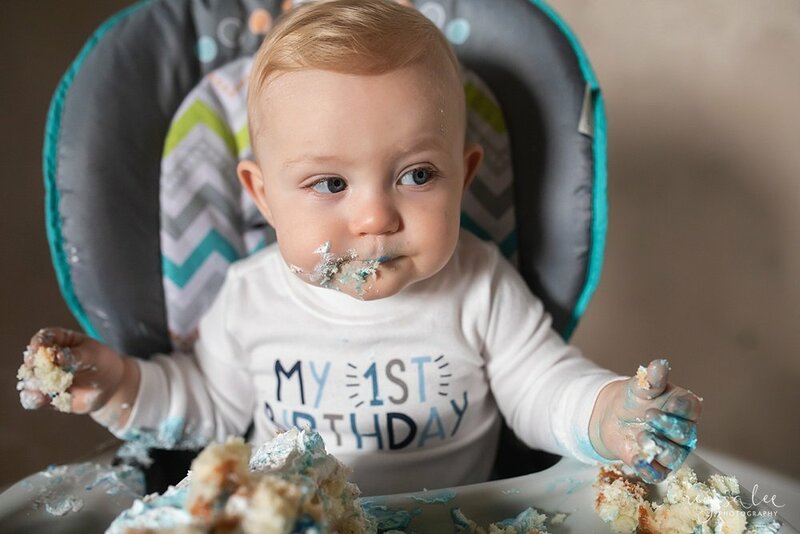 Your home is the perfect location for first birthday photos. By having family photos done in your home, you are able to have your family captured in the spaces you made memories over the past year. Your child will be most comfortable in his own space. In addition, if the weather is poor (which, let’s face it, is a reality often in Seattle) you don’t have to worry about layering your child up. If you’re child is a new walker or still crawling, all those extra layers can make it difficult for them to move. And we can always jump just outside your home for a few family photos, giving you the best of both worlds. Also, if you’re worried your space does not resemble something designed by the lovely, Joanna Gaines, don’t fret. I’m not photographing your home, I’m just capturing your family. All I need is one window and your family, and together we will create beautiful portraits. Is your child turning one this year? Let’s chat about celebrating the first birthday in photos.